WHAT IS FUND YOURSELF NOW? The cryptocurrency crowdfunding market has grown explosively over the past few years, reaching 200 million in 2016. 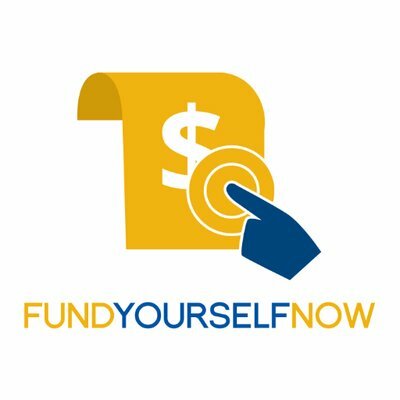 FundYourselfNow a simple platform to allow project creators/promoters to raise funds for their projects using cryptocurrencies without the need of technical knowledge. 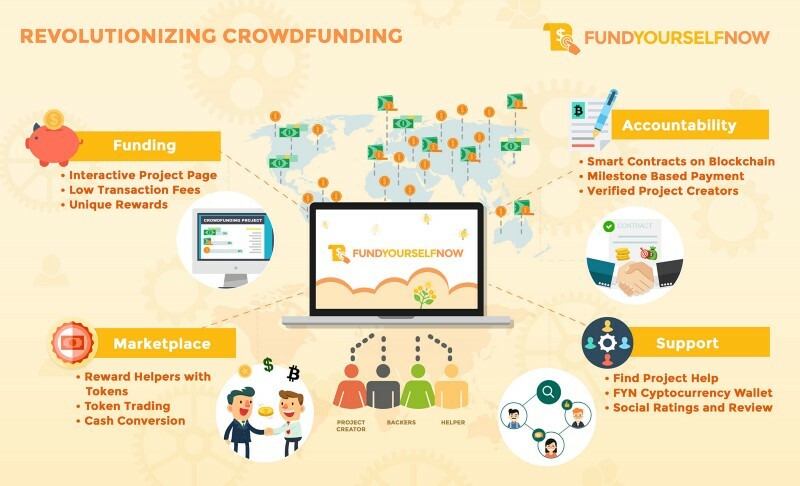 FundYourselfNow is a revolutionary crowdfunding platform that aims to reinvent the crowdfunding industry, using the latest innovations in blockchain technologies and virtual currencies. Our product allows project creators to request for project help, funding and reward backers. In the last few years, there has also been many virtual currency crowdfunding projects (also known as Initial Coin Offering (ICO)). In 2016, the largest crowdfunding project ever, “The DAO”, raised over 168 million USD in virtual currency.1 A total of 200 million USD was raised via ICO in 2016. Our main competitors are existing players in the crowdfunding space, with the biggest being Indiegogo and Kickstarter. Growth in the crowdfunding space has been explosive over the last few years and is projected to continue growing at 26% a year till 2020 2. We are a passionate team of people aiming to make virtual currency crowdfunding more accessible to the masses. Currently, ICO projects are manually created and our platform will facilitate this ICO process and make it as simple as possible. This will allow non-technical project creators to successfully seek funding for their projects. One reason why many crowdfunding projects fail to get funding or deliver on their promise is due to a lack of support or expert knowledge. One of the largest failures on Kickstarter is the ZANO Project3 and the main reason was because the project creators were not skilled enough or up to the task. Many good crowdfunding projects also get put on hold or fail to get the required funding due to a lack of marketing support. For example, most of them would not have the budget or expertise to make good marketing video, do translations in different languages and promote their product on social media networks. Our platform will allow project creators to seek project help from the community for their existing ideas/projects. Project helpers will be reward with Bounty credits, which can be exchanged for Project Tokens4, which are created during the project crowdfunding place. Project Tokens entitle backers to access the rewards listed on the project page. They will be tradable through our internal crypto currency exchange, so helpers can eventually convert their tokens to virtual currency and eventually actual cash if they wish to. Traditional crowdfunding platforms suffer from high payment transaction fees. A project creator on Kickstarter would typically have to pay up to 9% of the amount raised to Kickstarter after including the transfer fees (3-5%) and listing fees (5%). On our platform, we are not charging any transfer fees and our platform will charge a 5% listing fee for each successful project fundraising. A typical $10000 project will have fees up to $900 on Kickstarter, but it will be about $500 on our platform, a significant 44% savings. 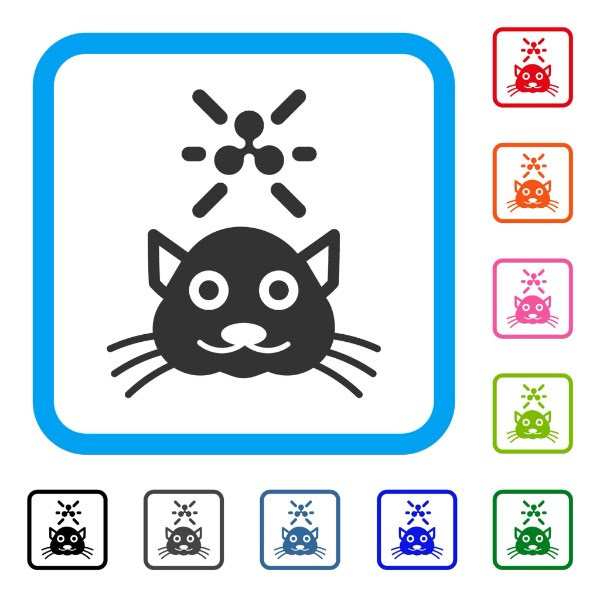 The system has a friendly and easy to use interface, for project creators to post information on their projects. Potential backers will be able to browse through projects and filter them by the location and project type. To ensure that only projects with a high probability of commercialization success are listed, the platform will be curating projects and perform identity verification where necessary. Our platform will allow project creators to seek project help from our very own community of professionals with specialized skillsets. For projects in the initial stage (pre-funding), project creators can list their project ideas and seek help from the community. Help can be in the form of marketing support, expert advice, or even getting the community to rate and provide feedback on the idea. Helpers will be rewarded with Bounty Credits, which can be exchanged Project Tokens that are created during the project crowdfunding place. Project Tokens will be tradable through our internal crypto currency exchange, so helpers can eventually convert their tokens to virtual currency and eventually actual cash. 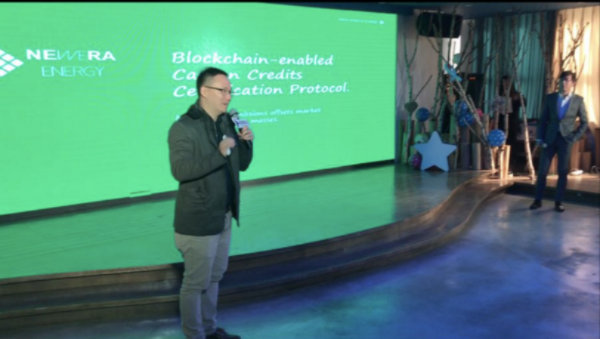 This is similar to the Bounty programs offered by recent ICO projects, where the ICO tokens were given to reward helpers for their efforts. Our platform will utilize smart contracts to hold the virtual currency collected and perform the disbursement of the collected money and project tokens automatically, without any coding knowledge required. Optional delivery milestones can be added to the contract, and backers will have power to delay or prevent disbursement of the money if targets are not met. Project creators create projects just like in Kickstarter, but besides backing physical goods and services, project creators here can raise funds for ideas and startups and offer other rewards such dividend payouts or profit sharing based on token usage. A project can be created with a scheduled list of deliverables, where backers will hold the project creators accountable to their schedule and timeline. When a project is funded, voting tokens are created in proportion to the amount backed by each supporter, who can then approve or reject the next tranche of funding to the project creators. This would be an improvement on the all-or-nothing funding model that traditional Kickstarter/Indiegogo projects provide. Optional milestone based payments can be implemented and controlled by voting tokens. A supermajority (60%) “NO” vote is required to delay or block payment. On a successful vote to block the release of the next payment tranche, the amount left in the project will be refunded in proportion to the voting tokens held by the backers. If the backer is in the minority, he may choose to divest his voting tokens through the internal marketplace. Each backer will have voting power proportional to the project tokens they own. The initial currency for the smart contract we are supporting will be Ethereum. Running the platform on Ethereum makes the entire process open and auditable at any time, as well as cutting down costs by automating and securing major portions of the database. Support for Bitcoin will be implemented via rootstock technology in the future (rsk.co), which is currently under development. The platform will allow users to trade Item Tokens/Rewards that have been created during the funding process. Users can post up their trade request and other users will be able trade for it via Bitcoin/Ethereum, cash or other tokens. Besides the internal marketplace, Project Tokens can be traded on external marketplaces, such as https://liqui.io. In the later stages of development, we are looking at building a marketplace that allow projects to hedge against ETH currency fluctuations via conversion to stablecoins, such as Dai, DGX or Santador fiat tokens. This will ensure that projects with milestone payments are not subjected to major currency fluctuations which will impact the project cashflow. own node or hardware wallet. Existing solutions, e.g. using Mist or Metamask (for ethereum) often present a steep learning curve for new adopters. Such functions do not currently even exist yet for bitcoin. As the platform only accepts Ethereum investment and later Bitcoin (via rootstock) in the projects, we will work with existing crypto-currency and Bitcoin exchanges, e.g. Shapeshift and Coin base. This will allow users to convert the money easily to cash or other cryptocurrency. The platform will come with advanced social features. Users will be able to leave comments and participate in discussion with the project community. Project token holders will be able to rate the project owners and leave their reviews for the project creator. This will ensure that before backing any project, users will be able to get a detailed picture of what they are backing. 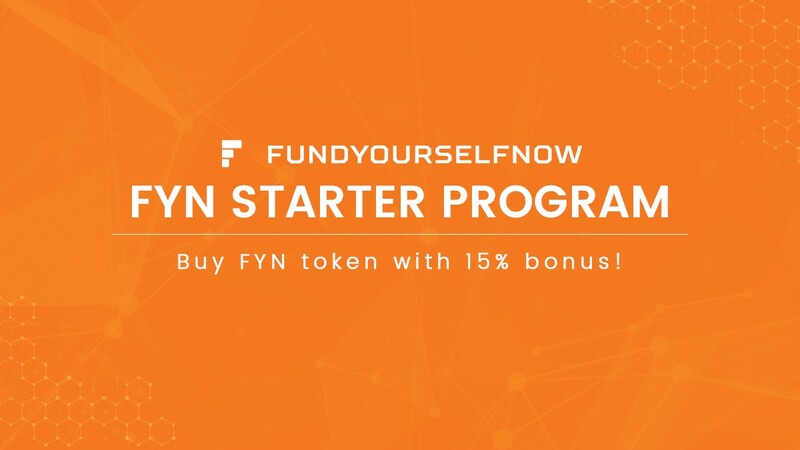 FundYourselfNow (FYN) will be issuing 10,000,000 FYN tokens. 100 tokens will be sold at the price of 1 Ether (50 USD as of 24th April 17). The ICO crowdsale will be done via Ethereum smart contract. Note that we are looking to raise a minimum amount of $1.5million USD, determined at the end of the funding window. Based on the above, the cap on total funding quantum is approximately 5 million USD. Unsold tokens will be kept and reserved for future crowd-sales, to raise additional funding going forward as part of FYN’s expansion plans. distributed proportionately amongst all token holders. We have structured the rewards so that it is realistic from a business standpoint, yet attractive and fair to the investors. The typical estimated ROI for ICOs with a revenue share model ranges from anywhere between 10% to 20%(Refer to ROI for Chronobank ICOROI for vDice ICO). To ensure sustained growth and profit generation for FYN, the rewards are structured so that part of the profits will be reinvested back into the platform to enhance product development. This will help increase the amount of funding raised through attracting more backers for the projects. Backers will also get discounts on the platform fee (when it launches) based on their the amount of tokens purchased. The discount will be tied to the email address that was used to purchase the tokens invested during the ICO and it is non-transferable. We welcome investors looking for a high ROI to participate in our ICO. At FYN, we value investor’s confidence and trust in our vision for the FYN platform. To show our appreciation, early investors within the first 2 weeks of our ICO launch will receive additional 20% early bird token bonus for every token purchased. You can now earn FYN Tokens by participating in any of our following bounty campaigns! To participate in the bounty program, you must sign up at our ico website and provide us with the email address used during the signup. Sign up to our newsletter at www.fundyourselfnow.com and receive FundYourselfNow favourite stories and helpful information. The tokens will be distributed evenly to those who have signed up before the ICO has started. Multiple registrations from the same computer or IP address will be BANNED from the bounty program without any warning! We’ll distribute tokens for blogs posts and written news articles. Blog posts and news articles can be published anywhere on the internet and must be publicly accessible. Medium.com is a good platform to publish articles that are written. Articles must be written in either english or chinese language. If our Bitcointalk forum post hasn’t been translated into your language yet, you are welcome to contribute with your own translation and earn a stake in return. Please email to [email protected] to confirm and reserve your translation. You will receive additional stakes for each post you get in the thread of your translation. By submitting your own translation you will also get an invitation to our moderator’s telegram group in which we will help to answer questions from your local community. We will post FYN ICO updates and co-post every blog post on our Facebook page. You need to like our Facebook page and be registered on our ICO website for stakes to count. We will also co-post articles on Twitter to share our latest insights and retweet our news to your groups, friends and followers. You need to follow our twitter account and be registered on our ICO website for the stakes to count. Sign up for the twitter tracking will be via the ICO portal. The ico portal will be up in 1–2 weeks time. Users found using bots to retweet or create facebook posts will be banned from the bounty program. Help us spread the word on FundYourselfNow and you will receive a stake every week! All you need to do is add our official signatures & avatar to your Bitcointalk profile. We will randomly check all our Signature & Avatar bounty participants once a week, to ensure long-time supporters receive an increased stake. You need to make at least 10 posts a week in order for bounties to count. · Track your signature campaign stake reward here. 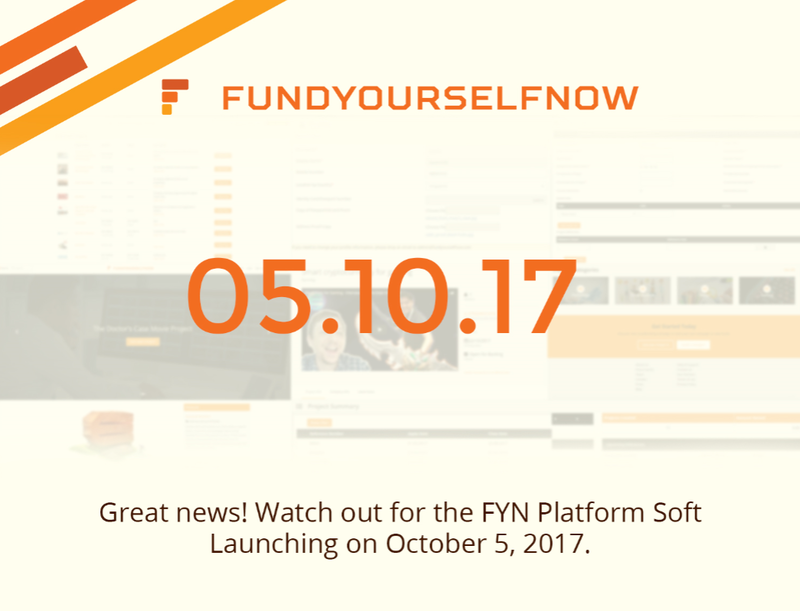 May 4, 2017, Singapore — An innovative smart contract based crowdfunding platform, www.FundYourselfNow.comwill be soon available to the global entrepreneurial community in the cryptocurrency sector. Designed to connect brilliant ideas with potential cryptocurrency investors, the platform will allow project creators to raise funds in Ethereum and Bitcoin (in future). The year 2016 saw over $200 million worth of cryptocurrency investments raised though the ICO (Initial Coin Offering) process. But creating and launching an ICO campaign requires expert technical and marketing knowledge which may not be everyone’s forte. FundYourselfNow makes the whole process easier by enabling “project creators” to get their ideas funded by global backers. The project creators on FundYourselfNow will be able to create virtual tokens to offer unique customized rewards to the backers and helpers contributing towards the project. These tokens can also be traded or sold on the platform’s marketplace on a later date. The initial seed fund will be utilized by FundYourselfNow to develop the platform further, enabling easy crowdfunding through virtual currencies while allowing users to seek assistance for their fundraising campaigns. The involvement of Carlos as an investor in the company validates FundYourselfNow’s value proposition, and it will go a long way in helping the platform bring virtual currency based crowdfunding to the masses. In order to gain a separate legal status for the platform, Pinnacle Digital has acquired Caxton Worldwide Success Limited. Led by Pinnacle Digital’s team, FundYourselfNow will continue to raise funds and proceed with further development under the banner of Caxton Worldwide Success Limited. Pinnacle Digital’s team has deep expertise in software development. They have so far designed multiple web applications for clients from across the world. Greetings to all our supporters! Firstly, we would like to thank you for having shown great interest and support for the FundYourselfNow project and the upcoming ICO. This week has been a brilliant one at FundYourselfNow, with social media buzzing, slack channels filled with great conversations, awesome exchange of ideas, Bounty programme enthusiasts pouring in their support to help us realise our vision. We sure feel great! Great Momentum on BitcoinTalk Translations Support. A quick shoutout to the early Bounty participants that helped us achieve 5+ Page translations in less than 10 days. And designers who have added colors and make us look good on the internet every passing day. We couldn’t have asked for more! The ICO portal is now up and running. We have more than 400 sign ups that have pre-registered for the ICO. Our BitcoinTalk has been read more than 5852 times by now. #GrowingUpFast! Thanks to all supporters, commenters and ideators on Twitter,Facebook , BitcoinTalk and Slack. FYN tokens will be issued on the Ethereum platform as a smart contract. Locked FYN Tokens are distributed immediately to the sending address. You will need to create a wallet first atmyetherwallet.com. The tokens will be unlocked on 7th Aug 2017, a week after the ICO ends. Token supply will is fixed and there won’t be any inflation of FYN tokens. We are committed to protect our investors and our tokens/funding is capped to ensure investors get a reasonable return. We have a minimum funding amount of 1.5million USD, calculated using ETH price as of end of ICO period. This will ensure that we are properly funded to bring our product to completion and execute a proper user acquisition campaign. If we do not hit our minimum funding target, refund of the tokens will be executed via the smart contract. Tokens that are unsold will be transferred to a locked contract which will only be released when we perform a second ICO to raise additional capital down the line to grow the company. There are many awesome weeks to follow and we sure will keep you informed! FundYoursSelfNow is a crytocurrency crowdfunding platform similar to WINGS. We want to make cryptocurrency crowdfunding as easy as possible for non-technical people. The difference between WINGS and us is that we want build a service marketplace where project creators can get marketing, tech and legal support (similar to current ICO bounty programs). When Does the ICO take place? Ethereum(ETH) is the choice cryptocurrency for the ICO. You can change BTC to ETH at the major cryptocurrency exchanges such as shapeshift and kraken. FYN tokens will be issued on the Ethereum platform as a smart contract. Locked FYN Tokens are distributed immediately to the sending address. Sign up at our FundYourselfNow ICO portal to participate in our ICO. The tokens will be unlocked on 7th Aug 2017, a week after the ICO ends. Token supply will is fixed and there won’t be any inflation of FYN tokens. We are committed to protect our investors and our tokens/funding is capped to ensure investors get a reasonable return. If we do not hit our minimum funding target of 1.5m USD, our team will send the invested money back to the ETH sending address and lock the remaining tokens. Tokens that are unsold will be transferred to a locked contract which will only be released when we perform a second ICO to raise additional capital down the line to grow the company. Crowdfunding has been around for a few centuries now. That’s right, centuries, not decades! Nothing new here! Don’t take our word for it. Here’s a chronological list of dates that we put together to give credibility to our claim. 1700s — Irish Loan Fund | Gives loans to low-income families in rural Ireland. 1976 — Dr.Muhammed Yunus comes up with a brilliant micro-finance program to provide banking opportunities to low income residents. In 5 years since launch the program helped 30,000 members. 1983 — Grameen Bank, Dr. Yunu’s original idea transformed into Grameen Bank that helped more than 8 million borrowers. 2000 — artistShare — The first crowdfunding site for music. 2005 — Kiva launches to give individuals a chance to support small business entrepreneurs directly. 2006 — Yunus and Grameen Bank win Nobel Peace prize. 2009 — Kickstarter launches. Creative projects around the world bloom. 2012 — Fundable launches — Equity based crowdfunding platform launched in conjunction with JOBS (Jumpstart Our Business Startups) Act. 2012 — President Obama signs JOBS Act into Law. Important to mention here is that Crowdfunding is a subset of crowdsourcing. In crowdfunds’ case, the resource which is sourced being funds in the monetary sense. 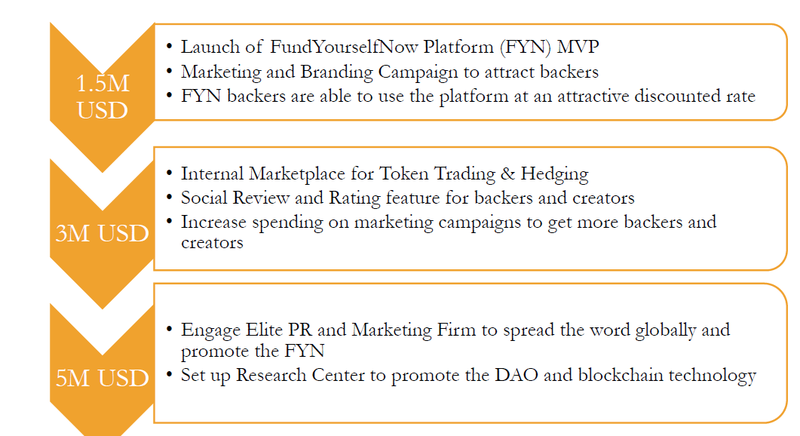 FundYourselfNow acknowledges these influential historic pivotal points in the crowdfunding arena. However, the team behind FundYourselfNow sees a potential in crowdfunding and crowdsourcing, which has for the most part been missed largely in the past decades. Sometimes the innovations of our time are only limited by the technologies that draw the boundaries of what is possible. The Fundable and Kickstarter would have had a tough time, ahem… kickstarting their platforms, if Internet was not in place already. Kickstarter became mainstream platform when Internet was already a mainstream technology available for the masses. We are standing at the nexus of such a pivotal moment. Internet decentralized and democratized information flow. 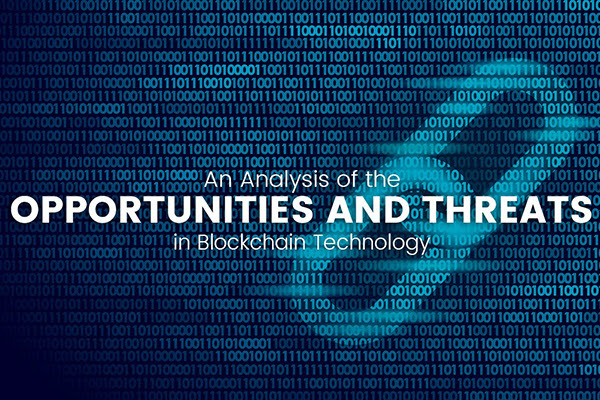 While cryptocurrencies and blockchain technology are set to decentralize and democratize the flow of value. At FundYourselfNow, we are just re-running the full circle that traditional Internet-based crowdfunding has come about in the past 20 years, only this time — FundYourselfNow is making the system extremely efficient, credible and integral, as we now have two technologies as our backbone — Internet and the Blockchain. We can’t wait to bring this powerful platform over to you. Fund Yourself Now is built on the confusion of many people about crowd funding. Many people are still unsure of crowd funding sites as some may potentially commit fraud. Fundyourselfnow.com site is a new site. This new site was launched in February 2017 and will begin selling its money in June 2017. Is this a trustworthy site? In the world of crowd funding, trust is relative. For most people, investment activity through crowd funding may be avoided. Many people still use buildings and meet face-to-face as their underlying belief. This is very understandable considering when we can directly meet and come to certain corporate offices then automatically we will feel more secure. Digital currency is a new thing in human life, something that many people may not understand or something that may not be useful. This can be seen from not many people using the currency or participating in this. But for those of you who are interested to be directly involved in this digital investment, the Fund Yourself Now may be one alternative for you to participate or just looking for some important information about this type of investment. This site focuses on one main thing that is how to give profit to its investors. The crypto currency the site uses is Ether; The digital currency created by the Ethereum Company. Just like any other site, this site will ask for your participation through investment, and then foundyourselfnow.com party will convert your investment into Ether currency in June. Such a thing is commonly done on the type of investment of cryptocurrency, crowd funding, and block chain. “Maybe” is the answer that can be given for this type of investment. One thing for sure is that you cannot use digital money in your daily life (at least for now like that). A few moments ago one of the digital currencies campaigned the use of their coin in real life. They work with places like shopping malls, cafes, or other frequented places. At that time, digital money owners could exchange their coins with groceries, food, or service at a place cooperating with one of the digital money companies. It was booming, but did not last long and then disappeared. You may do something with your money, even for this new kind of investment. You have to learn a lot and collect a lot of information about this before you decide to get involved directly in this investment. Fund Yourself Now may be a good place for you to learn and get information about digital money. This site also seems good for those of you who want to invest in the field of crowd funding. After listening to community feedback, we are revamping the investors rewards structure to reward all our supporters better. The original rewards were 20% of the transactions fees collected, dropping to 5% after year 6. 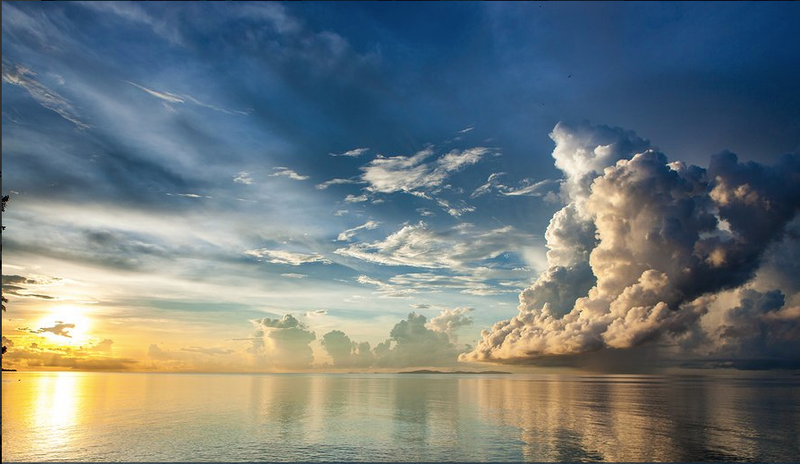 Under the new scheme, 70% of the profits made from FYN platform will be distributed to investors, via a token buyback program. The tokens bought back will be burned to reduce the overall FYN token supply. This program will be executed every 6 months. The remaining 30% profits will be re-invested to grow the company. Buyback approach will allow our token to be more easily listed on major US cypto-currency exchanges. This increases the liquidity of the token and thus investors have an easier time trading it. The buyback value approach puts FYN in a more favorable position legally. Having a dividend pay out almost guarantees that it will be considered a security according to regulators in most countries, which could mean much heavier government regulation and interference down the road. Dividends are likely to be subject to taxation depending on where you live in. Buybacks are normally not until you sell your tokens. Less distribution cost as we eliminate transaction and admin fees from sending profits to many accounts. This approach is currently being used by other ICOs such as ICONOMI. Due to the change in the rewards structure, there will also be a increase in the number of tokens issued. We are also increasing the coin tokens held by the founders so there is a stronger vested interest. We are also creating a reserve fund in the event we need to raise more money in the future from more investors. Tokens that are not sold in the initial ICO will be put into this reserve fund. With this change, we believe investors will be able to gain more benefits from our FYN platform. To allow for time for the rewards changes to be communicated, update of the legal terms and grow the FYN community further, we have decided tomove the ICO launch to 13th June. The bonus period will be extended from 2 weeks to 3 weeks. The ICO end date will remain the same (31th July 2017). If you have any queries, please feel free to drop us an email at [email protected] or message us on slack. We have received community feedback that our logo and website needed some love. We agreed with you and over the last few days, we have been hard at work at recreating a new logo & a website that would be awesome. Eventually, we settled on this final logo design after much internal discussion. We really liked it and we hope you do so too! At the same time we are also reworking the website to make it cleaner and simpler for the users. Part of the works has already been completed and the website will be fully updated by early next week. We wanted to give our alpha demo site some love, so now it’s featured prominently on the landing page. Finally, we are producing a video interview with our team and board of advisor, which will be ready early next week before our crowdsale starts. At FundYourselfNow, we constantly seek to strengthen and enhance our product to meet the needs of our investors and the cryptocurrency community. Our purpose of developing FundYourselfNow is to achieve the mission of making crypto-crowdfunding mainstream and to create an ecosystem for project creators, backers and helpers with enhanced accountability that is currently lacking in crowdfunding platforms. Emily is integral to our strategy to reach out the mainstream consumers on the benefits of crypto-crowdfunding. Through their influence and reach in the entertainment and fashion industries, we will be able to spread information on FYN and upcoming projects through mainstream media channels. This means that it will not be long before you start hearing about an FYN project via a tweet from a celebrity or influencer that follow on twitter or instagram! To make crowdfunding mainstream, we need to provide users an easy and secure way to manage their tokens and crypto-currency, without having to remember multiple passwords and figuring out how to use online wallets (myetherwallet.com is hard for people like my parents – just saying). We are happt to have Dana Coe, Founder of Bitlox, on board our Advisory team. 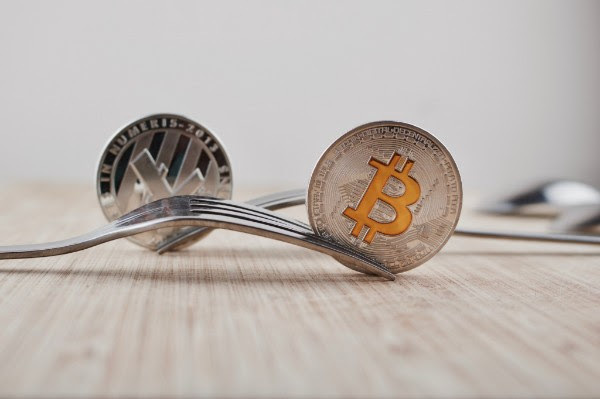 Bitlox creates crypto-currency hardware wallets that have become increasingly popular lately due to the rise in number of hacking incidents. Our eventual goal is to develop something similar to the famous amazon “1-click” buy now button. By connecting your wallet to FYN, and clicking on the contribute button, the crypto-currency is deducted from your wallet automatically and tokens and transferred over, without any manual intervention in between. From the recently successfully closed crowdsale such as BAT, there has been extremely strong institutional interest/private investors interest, where contributions of 1 million USD or higher are common. We are planning to support good FYN projects by linking them up with potential private/institution contributors at the pre-sales stage. This benefits project creators since they will have a guaranteed funding amount, plus allowing them to build up initial momentum for their project. In this regard, we are glad to have Kui Nakamura on board. Kui is a professional hedge fund manager with connections to private investors and institutions who could potentially be interested in contributing funds to the project. 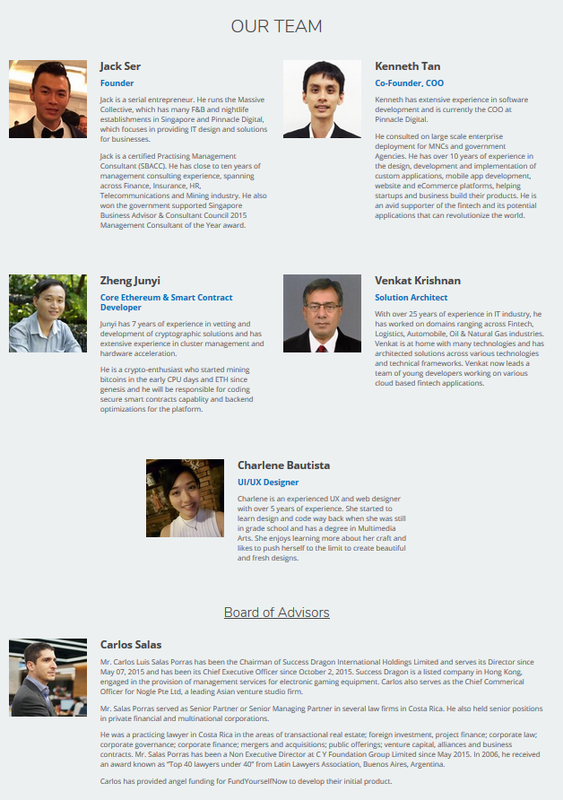 With the added expertise of the new members on our Advisory team, we strongly believe that we are better position to achieve our vision. Let us know what you think on our slack or telegram chat! Emily is a fashion and real eatate entrepreneur. She has vast experience in the fashion industry, and runs one of Asia’s leading online fashion portal, Couturissimo. She serves as the Vice President Asian Couture Federation and sits on the Governor Council of Fashion Designers of Korea. Previously, she served as the Singapore CEO of a famous German Luxury Brand, MCM. Emily recently diversified her business to actively invest in fashion brands and couture houses. 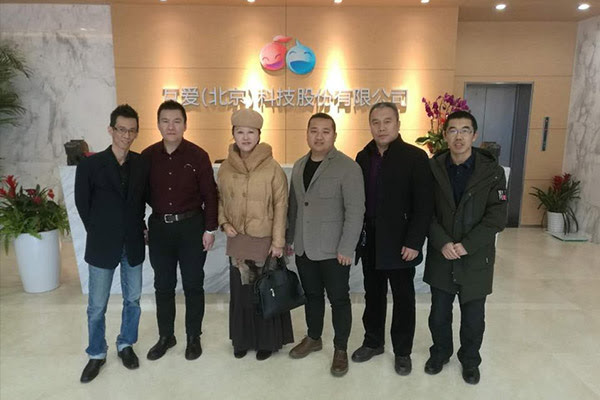 Apart from her investment in the retail industry, her company has long been involved with real estate development and the management of luxury properties internationally. 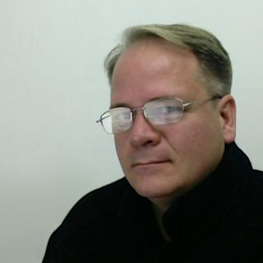 Dana L. Coe is a pioneer in the cryptocurrency security sphere and has been involved with Bitcoin since 2013. He was a part of the first wave of internet start-ups in the early 2000s, and this gives Mr. Coe a unique insight into business strategies and how to frame the discussion as to what direction a company should move in. 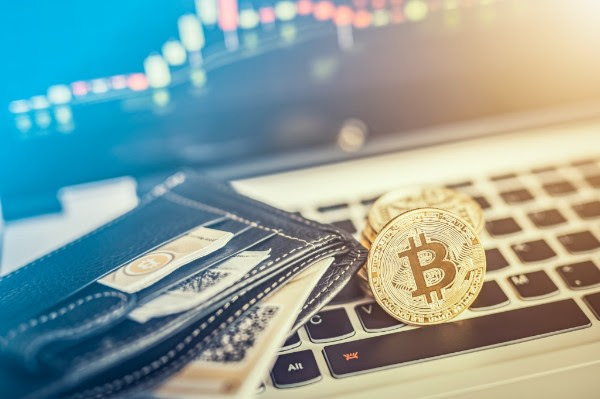 Trained in Germany as an engineer, his background in scientific equipment manufacture influenced his design of the BitLox cryptocurrency hardware wallet. As part of our advisory team, Mr Coe will advise on on strategies on making crypto-currency crowdfunding mainstream, such as providing users with a safe, easy to use hardware wallet that they can use to store project tokens/cryptocurrency when investing via the fundyourselfnow platform. As the Managing Director of Azura Group, Mr. Nakamura has a rich and diverse portfolio of cross industry investment experiences spanning the mining, energy, real estate and hospitality sectors. 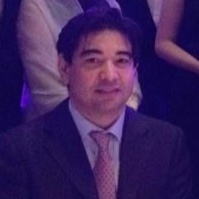 Mr. Nakamura currently serves on the Government Investment Council of the Republic of Kazakhstan chaired by the Prime Minister and works closely with several development-finance institutions and export-import agencies to bring foreign direct investment to the region. Previously, Mr. Nakamura was Executive Partner with Siris Capital Group, managing $2.5 billion of private equity funds and investments and its predecessor group managing the private equity holdings of Point 72 Asset Management, the $14 billion family office (formerly SAC Capital Advisors). His wealth of experience in private equity, trading and corporate finance enabled him to successfully raise billions of dollars of funds for governments and banks around the world, and advised over $9 billion worth of trading and investment transactions. As some of you may have heard by now, we have been the unfortunate victim of a hacker attack just before our pre-sale that was slated for 9pm (UTC +8). We would like to reassure all our supporters and investors that the team at FundYourselfNow has heightened the security of all our accounts since the incident and will work closely with Twitter to retrieve our account. We would also like to share with the community on what had happened as we were eagerly anticipated our pre-sale earlier this evening. At about 8.40pm (UTC +8) just 20 minutes before our pre-sale, our Twitter account and email was compromised. Once we discovered that we have been hacked at around 8.50pm, we immediately launched into action and informed everyone in the telegram and slack channels not to send any ethers to any address that may have been sent out from our email or social media accounts. Fortunately, we managed to regain control of our email account swiftly. However, as of now, our Twitter account still remains in control with the hacker who had started to flood our Twitter account with fake tweets and asked people to send money to a smart contract address owned by them. Our community assisted us by reporting the Twitter account for abuse. A quick look at the fake contract address (https://etherscan.io/address/0x0c9d1b3ca852c67bbeabeeb51e9482a845d56868) shows 82 Ether contributed so far from 3 addresses. 2 affected parties who contributed before 9pm have contacted us on slack, and we will ensure that a satisfactory outcome is reached with the affected parties. We are deeply sorry for this incident and we will make another official announcement on the new presale and crowdsale dates once we regain control and access to our twitter account. We would like to thank our supporters who have been nothing short of supportive over the incident and we aim to resolve this as soon as possible. For any questions, please reach out to us on our slack & telegram channels. We will also be providing updates on our social media accounts (except twitter) so do check in with us. We are both happy and relieved to announce that we have successfully retrieved our FundYourselfNow Twitter account at 11am (UTC +8) today, 13 hours after the account was compromised yesterday. We have since removed all offending tweets that pointed to the fraudulent contract address. For those of you concerned about the 2 contributors who have transferred ethers to the fraudulent contract address, please rest assured that we will honor their contributions and issue them the FYN tokens from our internal company token pool. Based on the etherscan.io transaction history, we have verified the identity and personally contacted these 2 contributors who contributed a total of 90 ethers. Currently, our priority is to ensure that none of our other accounts are compromised. As a security precaution, we have changed and strengthened the passwords to all our emails, social media, website and server admin accounts. As a reassurance, all passwords stored on our FYN portal are encrypted. Over the course of today, we will be reviewing the codes on our web server to ensure that our code is secure and safe. 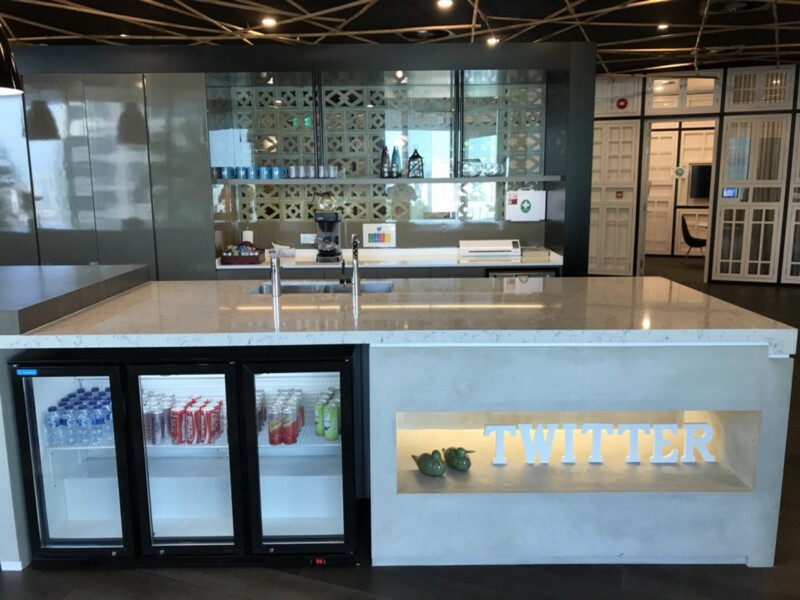 At the break of dawn in Singapore this morning, the FYN team rushed down to the Singapore Twitter HQ to report the issue. 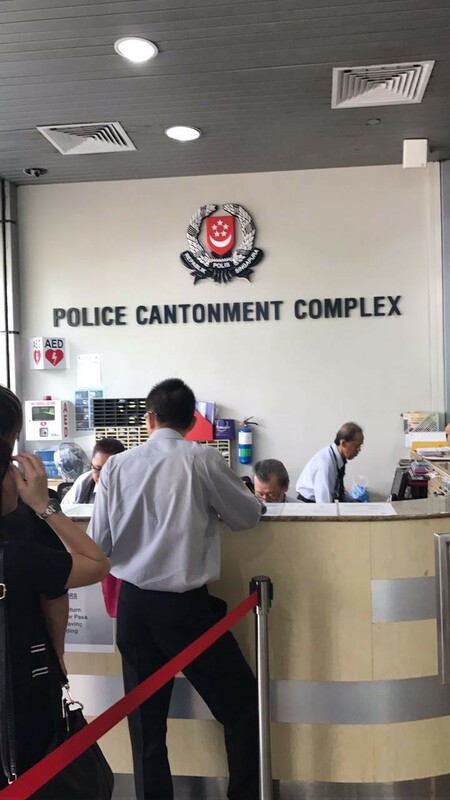 We want to say a big thank you to Mr Khairulnizam Bin Abidi and Mr Francis Teo, Security Managers at Twitter Asia Pacific, for helping us escalate the issue to the relevant people in Twitter and enabling us to successfully retrieve the account within the next 90 minutes. We subsequently filed a police report for the cyber-attack/cyber-ransom that happened to FYN. As a final note, we would like to re-emphasize that FYN will never ask contributors to send ethers to addresses via tweets, facebook posts, slack chats or telegram posts. If you are unsure or receive suspicious messages, please drop us a message on slack and telegram to verify first. 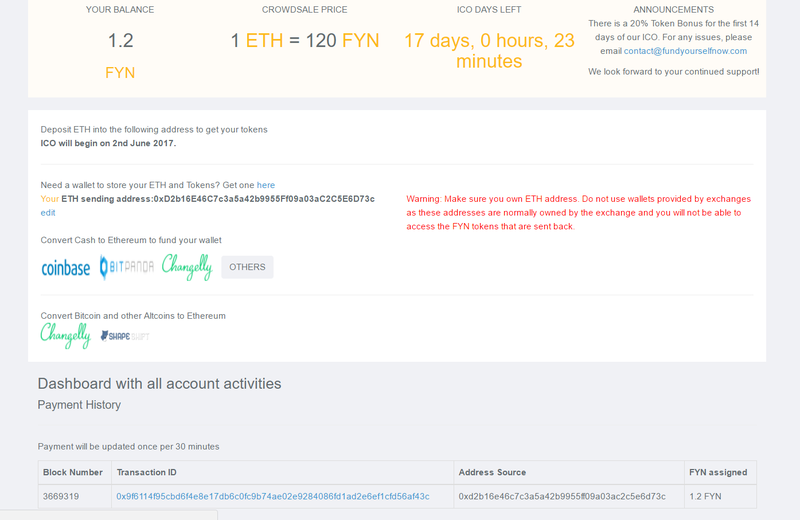 We will only post the official crowdsale address on the FYN dashboard. A big thank you for helping us cross the 1 million Singapore Dollars milestone. Currently, it is the fifth day on our crowdsale and we have raised about 2250 Ethers so far, and we are more than halfway to our minimum funding goal of 1.5M USD. We strongly encourage all our supporters to join our Slack chat to find out more about what we do. Over the last few days, we have started our advertising campaign in the Chinese ICO platforms and our eventual goal is to have FundYourselfNow cater to both the Chinese and English market. 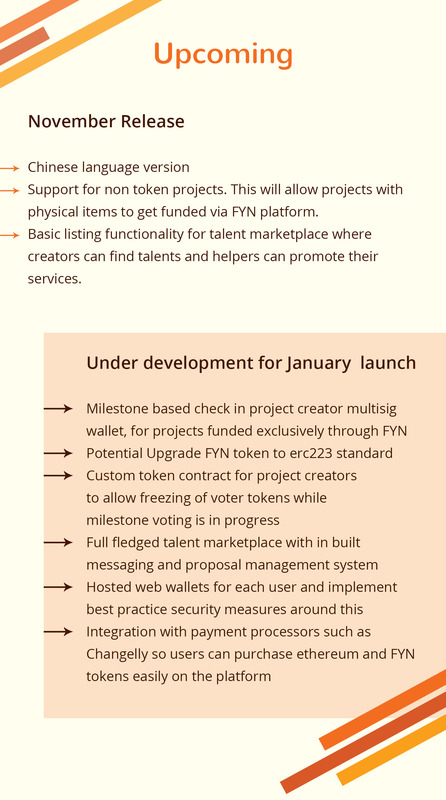 Since our last post on how we plan to make FYN tokens grow, we have also received collaboration requests from 4 -5 entrepreneurs globally, which we are currently in the process of reviewing. 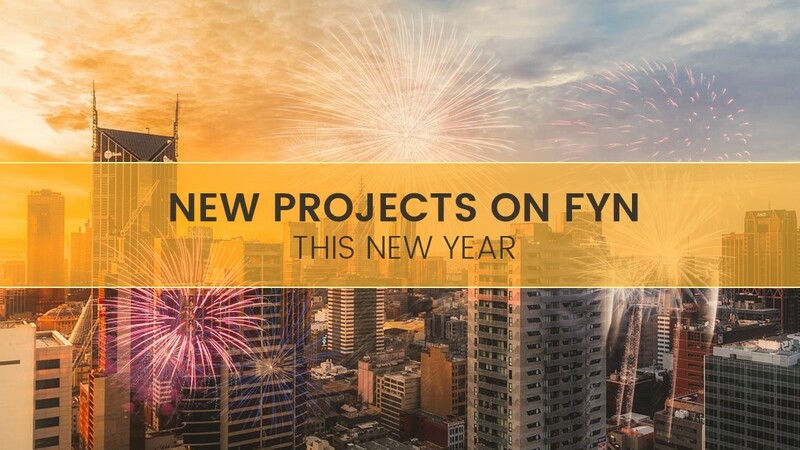 To celebrate our progress so far, we are releasing new details of 2 new projects that will be funded exclusively via the FYN platform. Nogle chat branded app that to sell direct to enterprises and end users. Their target enterprise customers are corporate entities like financial institutions that require a private and robust networked, secure and encrypted internal and branded chat application where they can do all business functions video file sharing voice etc. 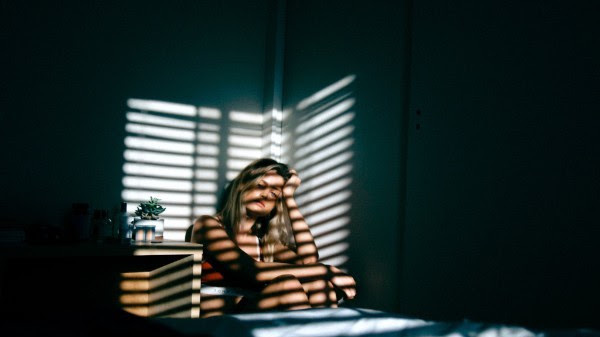 Security features such as Read-and-Destroy & Remote message destructions ensure that sensitive company information can be destroyed once it is read. The chat application can be deployed onto a private cloud server owned by the enterprise. The product is currently under development and Nogle is seeking funding for to complete development and launch a user acquisition campaign. Nogle chat will potentially create Nogle Chat tokens that will be used to as credits to access the app functions. More details will be released further down the road. 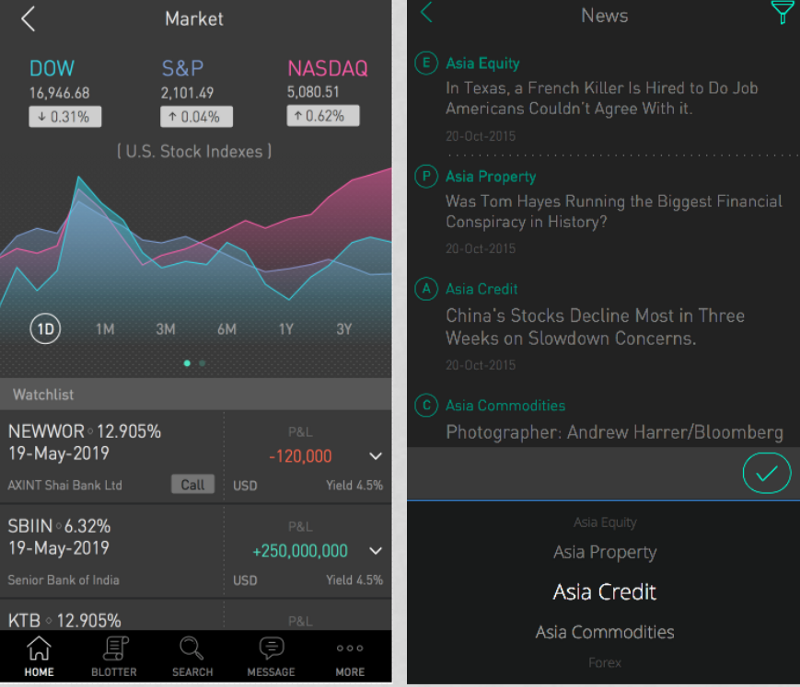 In the current global market, there is no mobile application for private clients to trade bonds. However, for most private banking clients, bonds form a significant part of their investment portfolio as they are safe and have low volatility. Relapp offers an organized way for private banks to convey their range of products to clients in a user-friendly manner. Relapp is a white label solution being that is targeted at the banking & finance sectors. The target customer group is any companies that are selling banking related products and have relationship managers like the banking sector. More details on the company behind relapp and product will be released further down the road. Dear Supporters, we have recieved multiple enquires regarding the number of tokens that a user will recieve at the end of the crowdsale for the bounty program. We would like to clarify the bounty program rewards. Currently on the crowdsale portal, what we are showing is the maximum estimated number of tokens that you can possibly receive provided that we hit our hard cap. Since the start of our bounty campaign, it has always been our plan to allocate 3% of the total number of tokens sold to our bounty program. Assuming we completely sell out the 7.5 Million tokens in our crowdsale, this works out to 225,000 tokens. This is still significantly above what most other crowdsale (2% or less) give out for their bounty programs. We are removing the estimated number of tokens shown on the portal for the time being to avoid confusion. The final number of tokens given for the bounty will be shown to the users once again at the end of the crowdsale. All stakes will be reviewed once manually at the end of the crowdsale before we do the final distribution. Please make sure to update your ETH sending address in the portal as that will be address we will send the tokens to. We are deeply apologetic for any confusion caused. For any questions, you can contact us on our slack or telegram group. Along with Soft launch of our platform, we have something else for you guys! 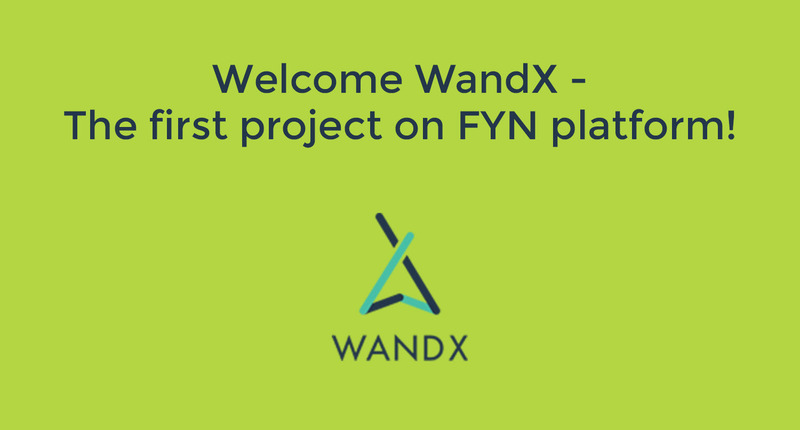 We are running a Community Marketing Programme where WandX will airdrop tokens to FYN token holders registered on our platform. project tokens just for being a FYN token holder! Join WandX on Telegram and get all your questions answered! Have a look what features you will be seeing in this soft launch! As the ICO market place heats up with thousand new ICOs each month, how can anyone with a great idea but lacking the expertise and the funding get in on the action. That's where FundYourselfNow comes in! Excited to see you guys on our platform next week. Do check out the features and listed projects. We have more projects coming up soon! We are excited to announce that FundYourselfNow is going to enter Vietnam market by partnering with VinaEX and New Era Energy. And FundYourselfNow Vietnamese Website has been released today on 15th December. VinaEx is Vietnam's leading cryptocurrency exchange where both local and international buyers can trade bitcoins/Ethereum with the Vietnamese Dong and USD. 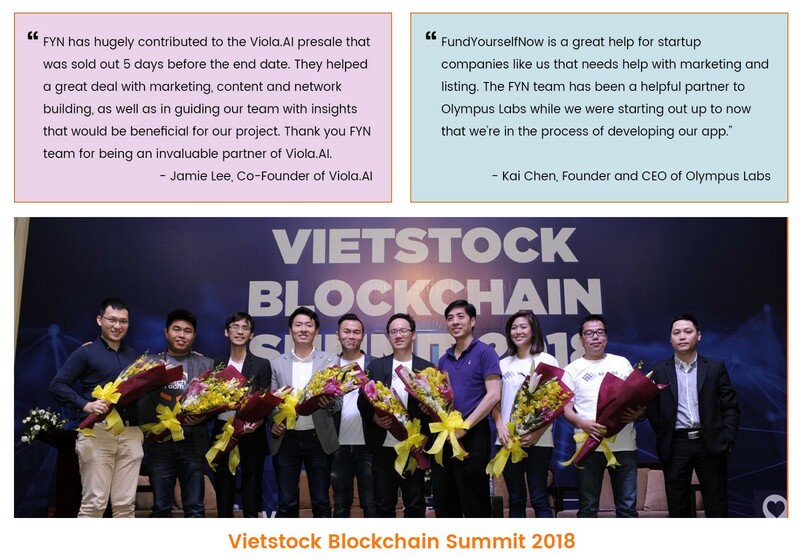 VinaEX is launched in collaboration with major banks in Vietnam. FYN tokens will be listed in VinaEX in the first quarter of 2018, with Fiat Currency Pairing (USD/VND). With the VinaEX partnership, FYN has successfully delivered what was committed in the whitepaper of FYN ahead of schedule. 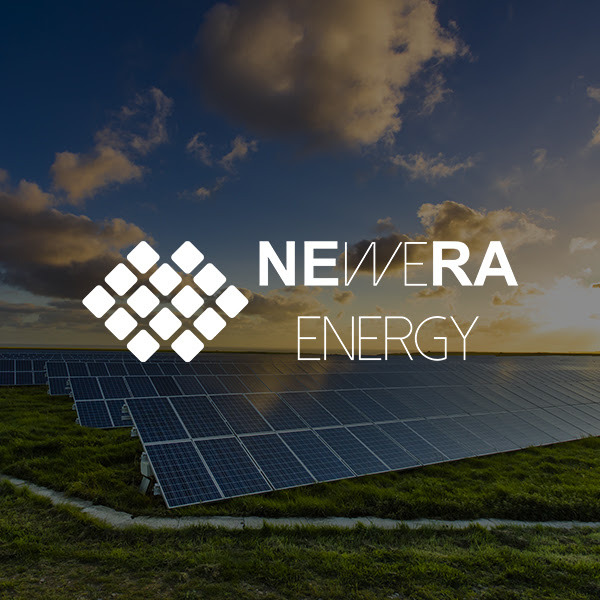 New Era Energy aims to be the biggest clean energy ICO at an international level, with an ambitious fundraising target of 100 million globally.New Era aims to build a global green movement, where individuals, green organizations can come together to build a cleaner world. 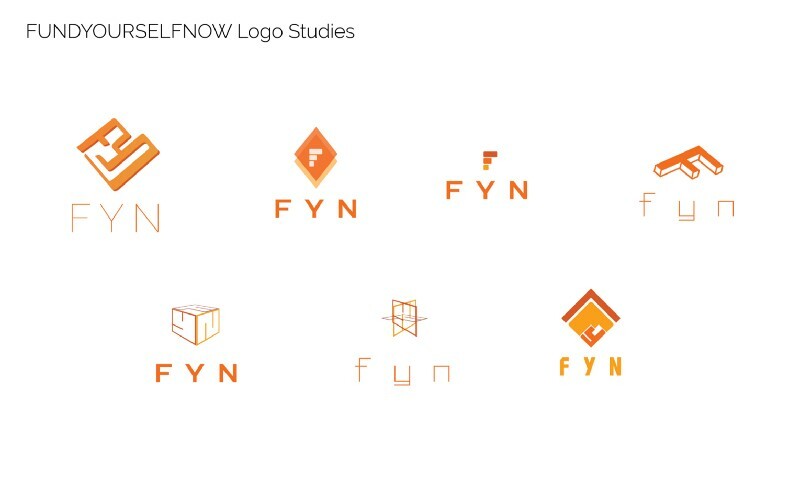 FYN will be the sole crowdsale advisory partner and both local and international users will participate in the crowdsale via the FYN platform. day by day. We'll try our best to develop FYN platform and Make Great Ideas Happen! 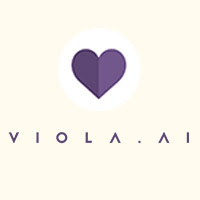 Viola.AI harnesses on artificial intelligence and blockchain technology to develop a lifelong relationship advisor, Viola, and a marketplace to provide advices and solutions to help singles, attached and married couples create successful and happy relationships. FYN is the ICO advisor for Viola and is helping out the team in getting the word out through events, meetings and other networks. 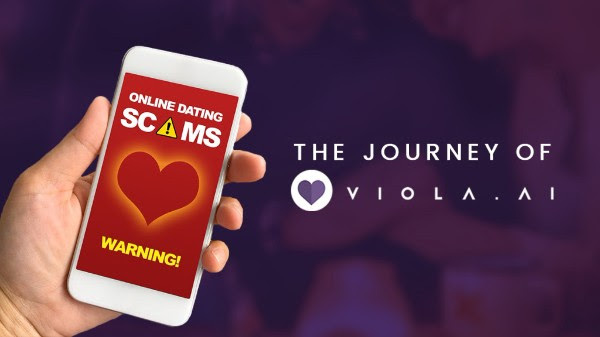 Bounty Program — Viola has its exclusive bounty program and participants are called transformers. The transformers are entitled to amazing bonuses and cap increase. Show your “proof of love” by helping them grow on media channels. To know more about their program click here or join their Telegram group. 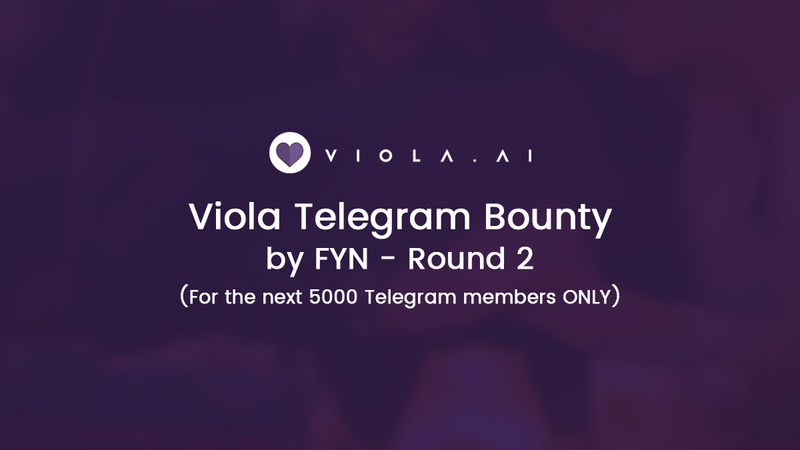 Viola backers backing through FYN will be getting an additional bonus of 10% over the 50% bonus given by Viola. Viola -White-paper To participate in Viola Token Sale click here. 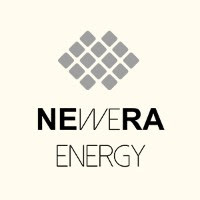 New Era Energy (NERA) is using the Blockchain technology to enable a decentralized system to increase transparency and credibility, and to create a global benchmark for emission recording and reporting. 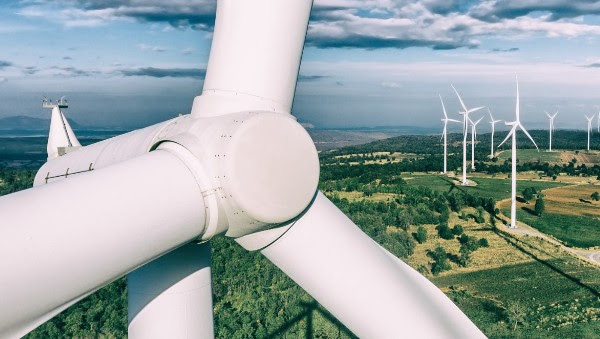 It solves the current problems of access to capital for renewable energy developers, provides access to investments in well-managed and profitable projects directly to consumers and retail investors, as well as creates a loop to encourage more renewable projects initiatives around the world. FYN is hosting the token sale for NERA on its platform and is the Marketing Partner, where it helps NERA in community management and its online presence. This has some perks for FYN users too in Bounty Program! NERA’s Presale/Private placement will be held from 15th January 2018 to 26th February 2018. ICO will be held from 8th March 2018 to 31st March 2018. Bounty Program — NERA has recently announced the Green Advocates Program (GAP) where the Eco-warriers i.e supporters can use their out of the box ideas to promote the project. You can join their telegram group to get quicker updates on the program or go to their latest update on Medium. The rewards will be given on the basis of quality of your support. NERA supporters joining through FYN will get attractive additional bonuses. NERA-White-paper. In order to participate in NERA click here. 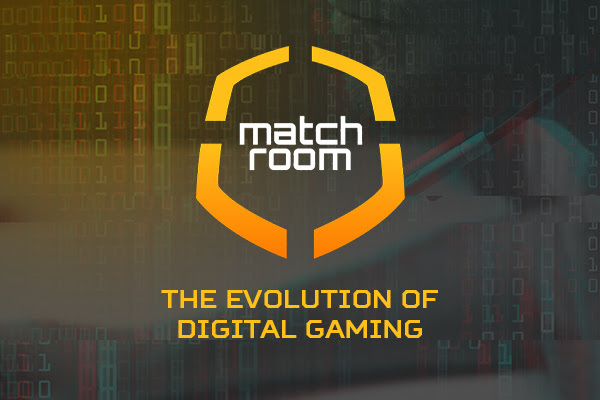 Matchroom.io is an Internet based based platform designed for the mash up of gaming and social media for the SEA community. 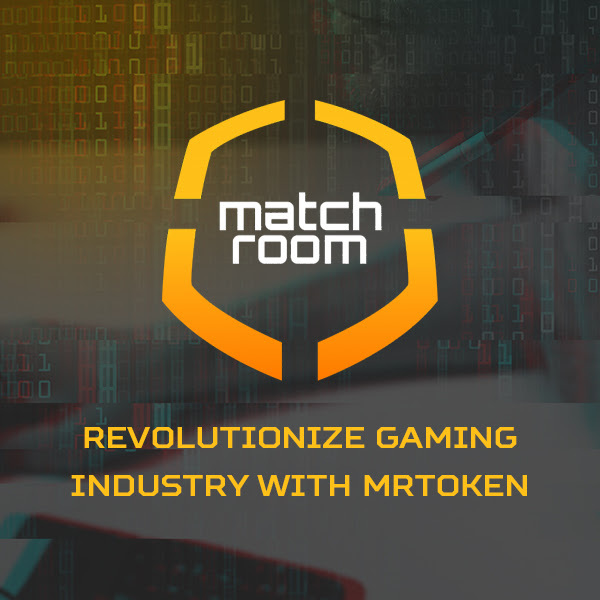 With it’s unique blend of community, social media connection, Pay to Advance gaming features and eSport focus, Match room intends to become the preeminent online destination for gamers across South East Asia and other Emerging Markets. FYN is performing ICO advisory and marketing for this project. FYN will launch the social channels of this project soon on all the platforms. Don’t forget to continue giving your support! Website & Whitepaper: In progress and shall be ready by next week. We are glad to have reached to this stage and it is definitely because of your support and love that has helped FYN throughout this time and we hope this family keeps growing stronger. We will keep giving you updates from time to time. 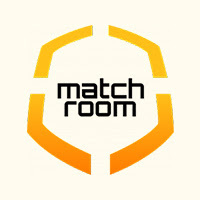 Join the Matchroom presale for 30% bonus! FYN Starter Program — Golden chance to become a FYN holder and enjoy 15% BONUS! We are starting a 14-days FYN Starter Program which will give you a golden chance to become a FYN holder with 15% BONUS! We decided to give THIS GOLDEN opportunity to all our fans out there. The program will start from 5th March and will end on 19th March. Buy FYN tokens and start enjoying quarterly BONUS! 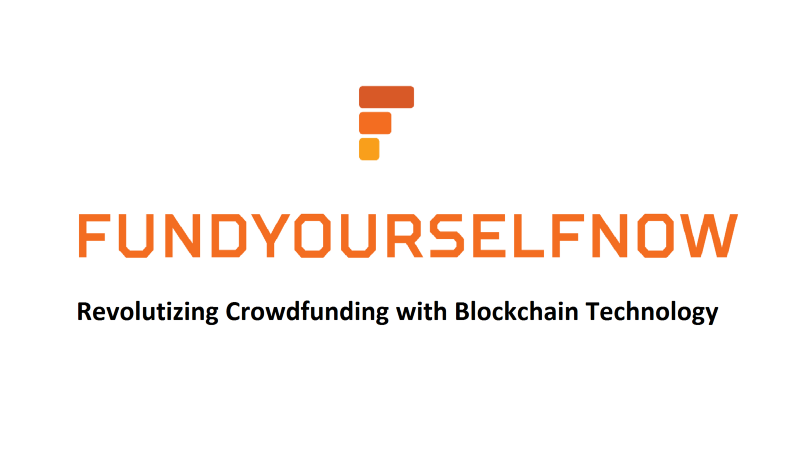 FundYourselfNow aims to be the Kickstarter version 2.0, that offers help to people to raise funds for their projects that they are passionate about and to make their great ideas happen. FundYourselfNow ICO was successfully completed in July 2017 with more than 6000 ETH being raised. Working product: The beta version of FundYourselfNow platform was launched in October 2017. It has grown to be one of the leading cryptocurrency crowdfunding platforms in the world with more than 12k active platform users. Participate in projects you love using BTC, ETH or Cash. Immediate liquidity: FYN Tokens are already listed on Exchanges! You can trade FYN tokens on 5 exchanges now. No lock up period, no waiting. We have started applying to get listed on more exchanges in April. Growing Community: FundYourselfNow values its community. 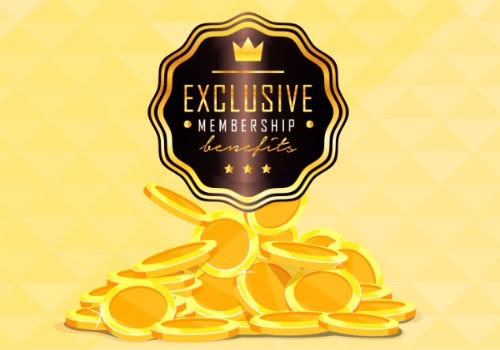 We give exclusive membership benefits to reward FYN Members. We have 5k active telegram members, 8k twitter supporters and 2k medium followers now. We are one of the contributing writers for Hackernoon, The Mission and Good Audience on medium, and also own a few media publications. Top Tier ICO Advisory & Fundraising Service: We have advised and helped many projects such as Viola.AI, NewEra, WandX, Olympus Labs, Gatcoin, Genaro.network etc. Many amazing ICO projects have hit their fundraising target. 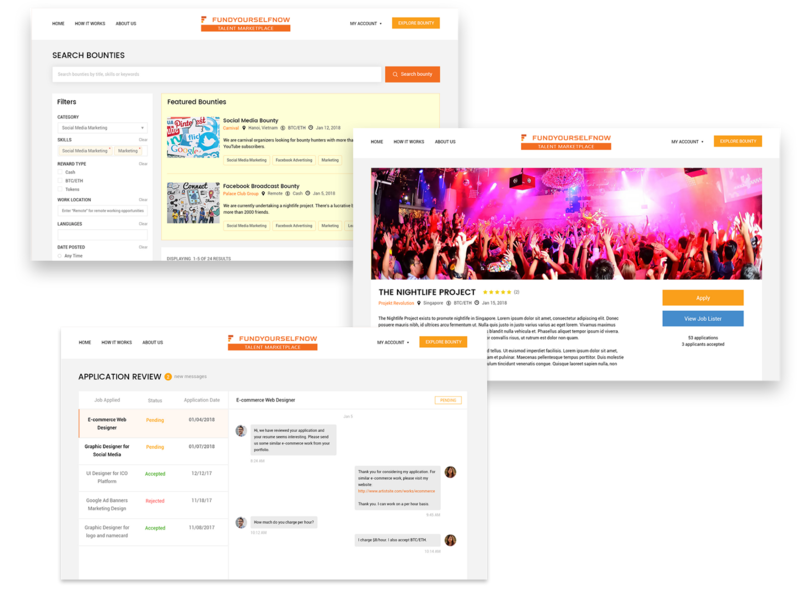 Talent Marketplace for project creators: In order to become a one-stop crowdfunding and marketing platform, we aim to provide every resources that can make an ICO project successful. The beta version of the talent marketplace that is going to be launched in the end of Feb, will initially focus on hunting bounties for ICOs. We are already working with 10,000 bounty hunters through our existing bounty programs. Where will you be using FYN Tokens? Discounted service fee: Project creators can use FYN token as the payment for platform services and enjoy a discount. 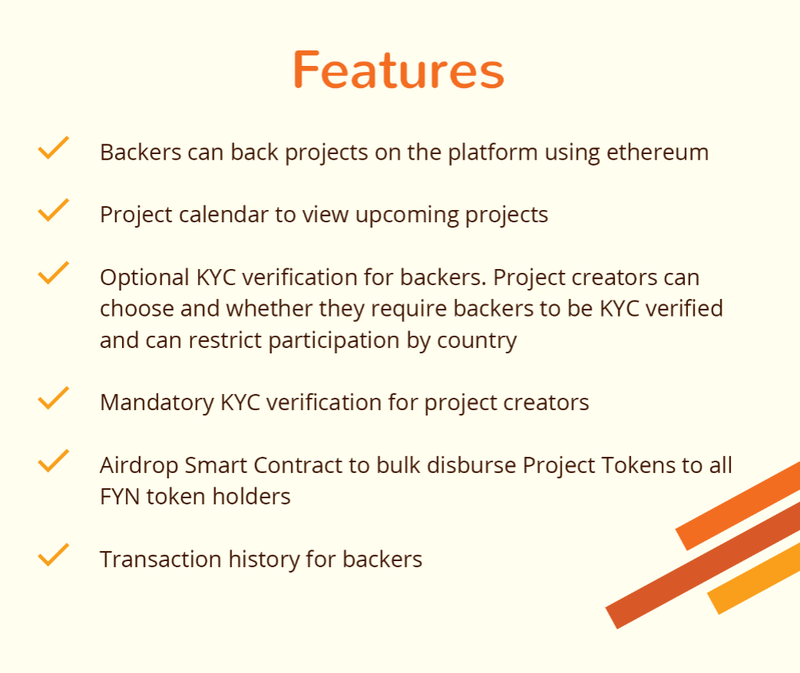 Backing projects: FYN token can be used for backing selected projects on FYN platform. Normally there will be a bonus tied to using FYN! FYN Token Price — Estimated to be around 0.005 ETH per token. Price will be determined using Coinmarketcap price based on the day the ICO ends. 2. Add ETH wallet address & Telegram id in the your User Profile. 3. Go to FYN Starter Program page and click Get it Now! 4. Send maximum 1 ETH to the collecting address. Join our FYN Starter Program today and become a FYN holder with exclusive FYN holder benefits!